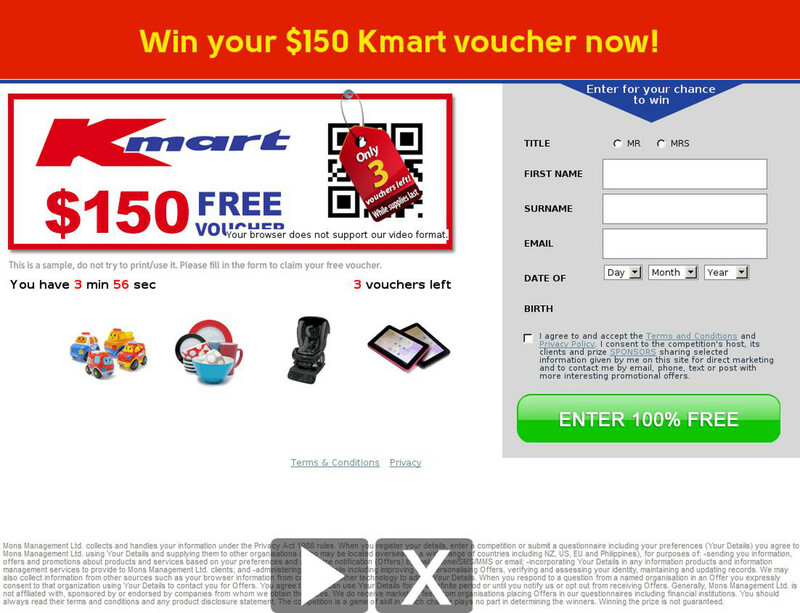 This week starts off with yet another gift card scam attempt, this time targeting Kmart. Do not click any links in this email and delete it immediately or your computer may be infected with malware. In Figure A you will see a copy of the email in question. 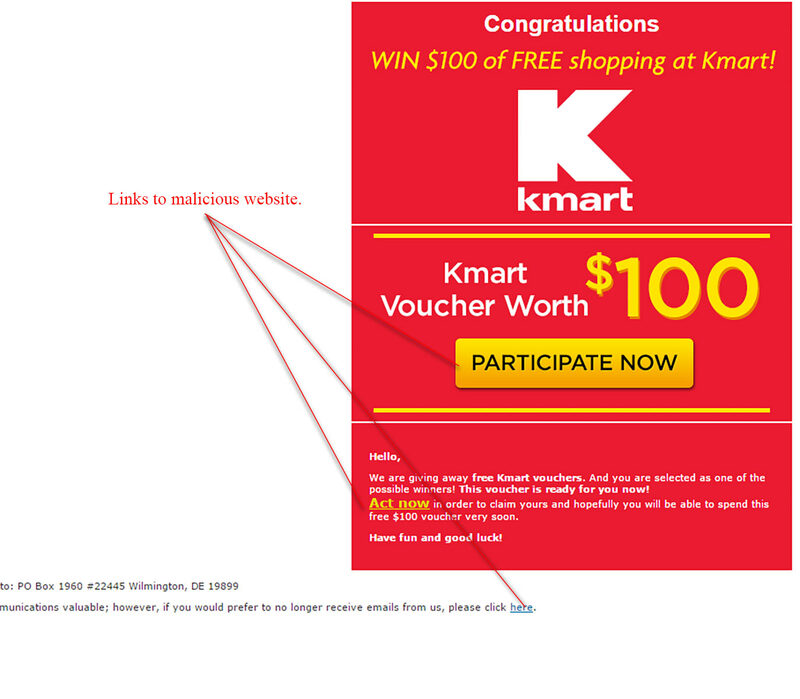 The subject line reads “Win only today ¢100 of free shopping at Kmart!” and the sender shows as “Kmart” but when looking at the email address it is not at all related to the brand. This particular gift card scam email is well presented with relevant artwork. Do not be fooled. The 3 links (including the unsubscribe link at the bottom) are all malicious and will lead you to a dangerous website. You can check the nature of links by hovering over them with your mouse if you are ever unsure. Figure B shows what you will encounter if you click any links in this email. If you have reached this page your computer is already at risk and going any further will infect your computer with malware. We were able to access the website safely through a MailShark sandbox which allows us to analyse scams – do not do the same unless you know what you’re doing. As we have mentioned before gift card scams are on the rise and you should be wary opening any email with a gift card incentive. Ensure your computer is protected with anti-virus software and delete any malicious emails from your inbox if you receive them.